There are many technological dinosaur bones that litter the years leading up to our modern world of smart devices. From the BuyBackWorld vault we have a device from 1997, which is a year on par with the Jurassic era. 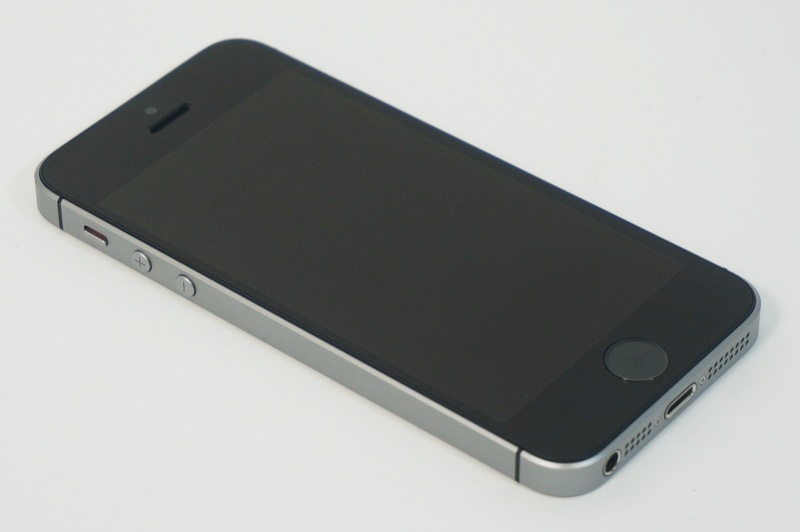 There were no iDevices of any kind or smartphones with touch screens and built-in cameras. The consumer tech world was much simpler and way less populated than it is today. 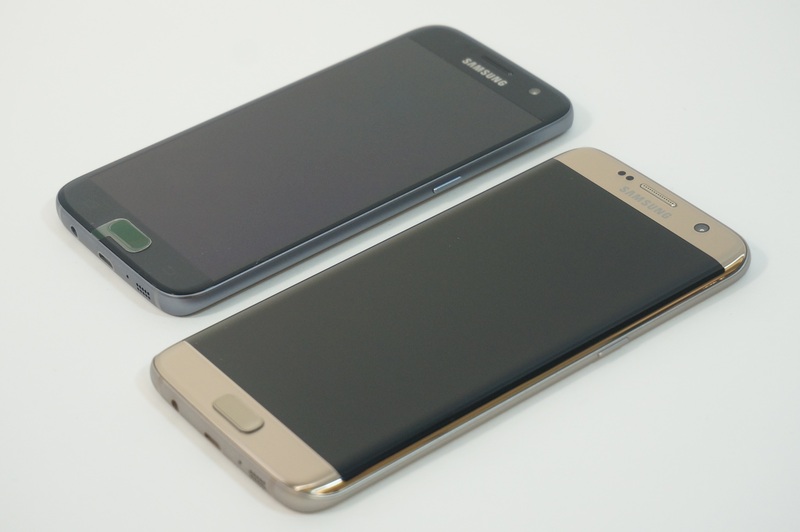 This didn’t stop companies from attempting to develop new and emerging devices hoping to gain market share. 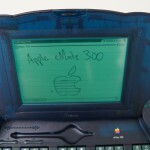 Apple Computer, as they were known at the time, took a swing and an eventual miss at the portable computing market with the Apple eMate 300. 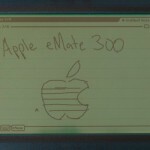 The eMate 300 was a feature-packed cross between a PDA and a laptop computer marketed primarily toward the classroom environment. 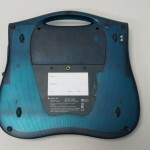 The eMate was intended to be an affordable alternative to a laptop and one that students could use in classes with a specific focus on simpler applications. 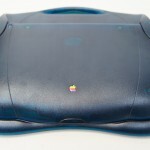 However, with an asking price of $800 it was not able to compete with similar computers with more capable software and was ultimately a failure. 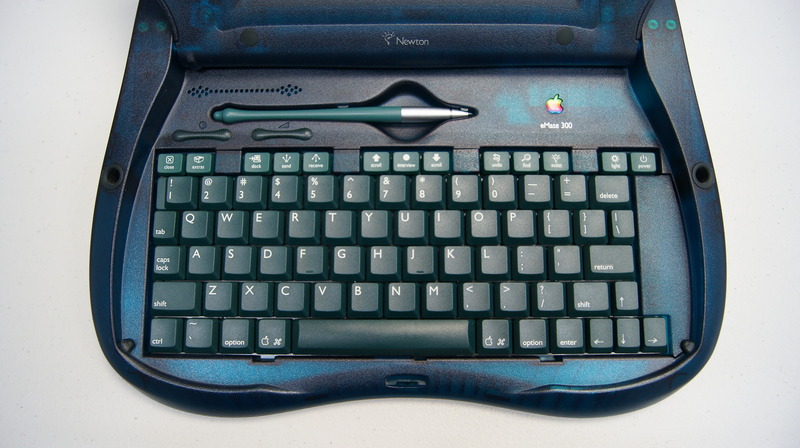 The eMate’s unique design was among its more notably enticing features. 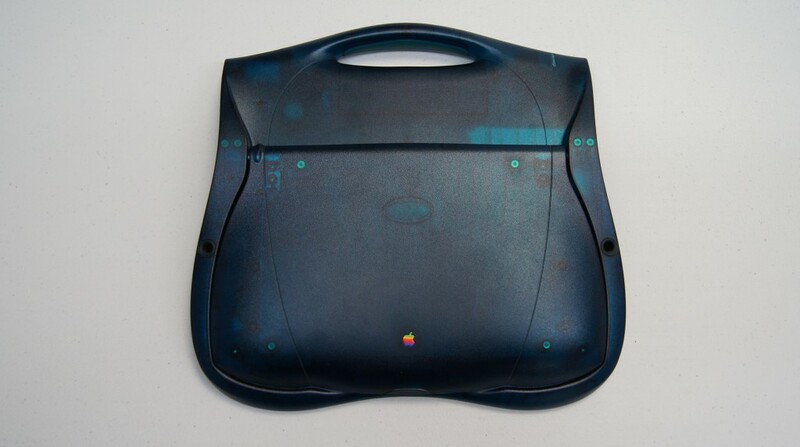 Housed in translucent plastic partially revealing it’s technological guts it was a design that helped inspire Apple’s iBook and early iMac line. 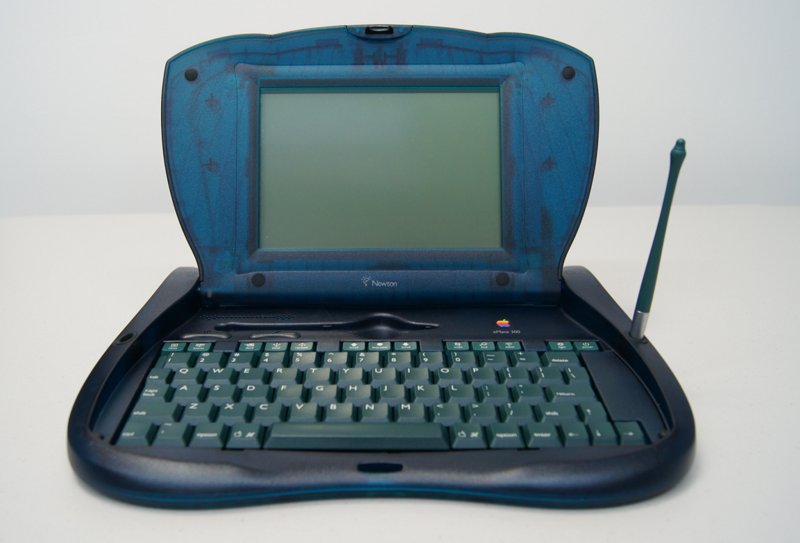 The eMate featured a flip-up screen that could fold all the way back enabling users to hold the unit horizontally like a book. The weight of the device is surprisingly light considering it is such an old piece of tech and it competes even with modern MacBook computers from just a few years ago let alone anything from 16 years ago. The built-in handle at the top helped improve portability and featured a thin rubber strip for added grip to ensure it wouldn’t slip out of your hand. 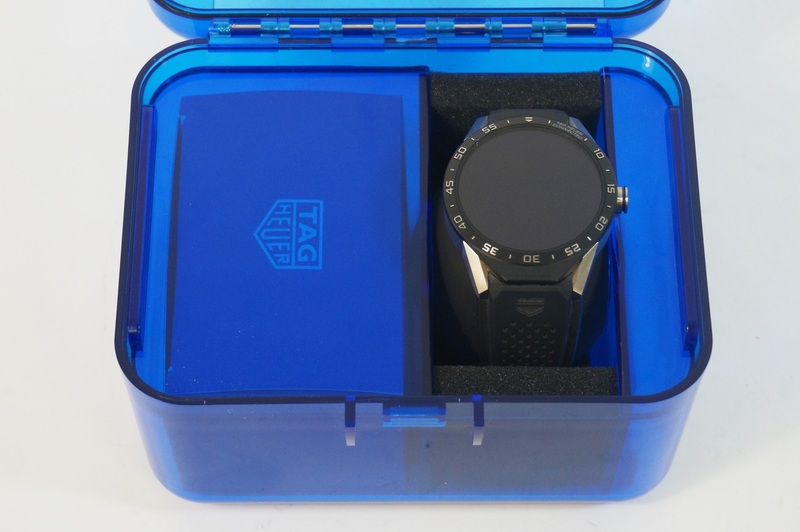 The bottom of the unit boasts rubber feet for stability on desks and a pull-out identifier card which can be looked at as a sort of low-fi precursor to laser engraving found on modern devices. The eMate also had a removable plate for expandable hardware, something that you don’t even get on today’s iPads or similar devices. On the software side, the eMate operated using Apple’s Newton platform which was the mobile operating system used for PDA devices well before iOS was a glimmer in Steve Jobs’ eye. 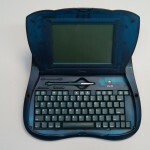 It ran applications such as word processing, note taking, number calculating, and others. 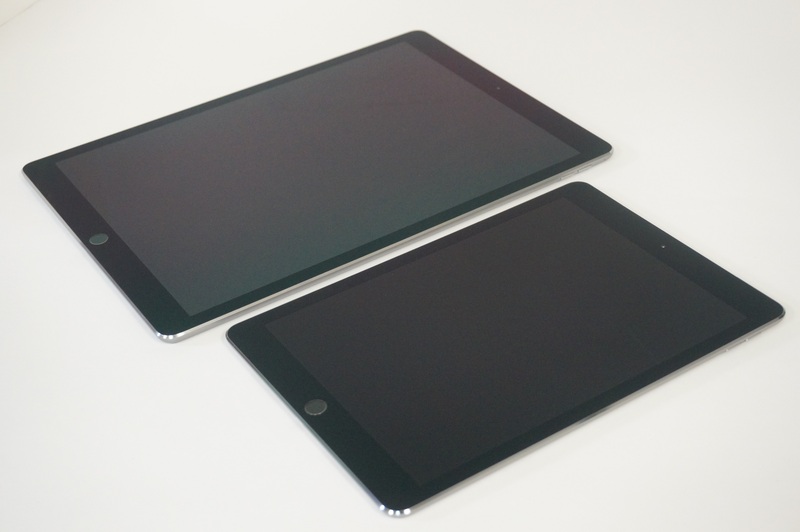 The eMate utilized both keyboard and touch screen input and was one of the first devices of its kind. 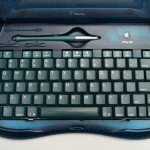 The keyboard is largely similar to what you would find on an Apple computer today with Command and Options keys along with dedicated function keys specific to the applications of the eMate. The eMate included a stylus so users could write or draw on the eMate’s screen in lieu of typing on the keyboard. Apple had intended for this to simulate a more natural process with copying dictation and adding annotations to their documents. The eMate was surprisingly well adept at recognizing handwritten text input. 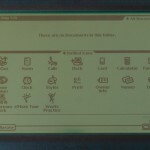 It was more fluent than that of competing PDA platform Palm OS that required you to learn and draw special characters on the screen in order for them to be recognized. 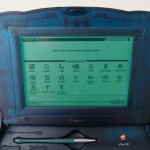 On the eMate you were able to simply write in your normal handwriting and it would detect the input accordingly, a feature that that even rivals iOS today. 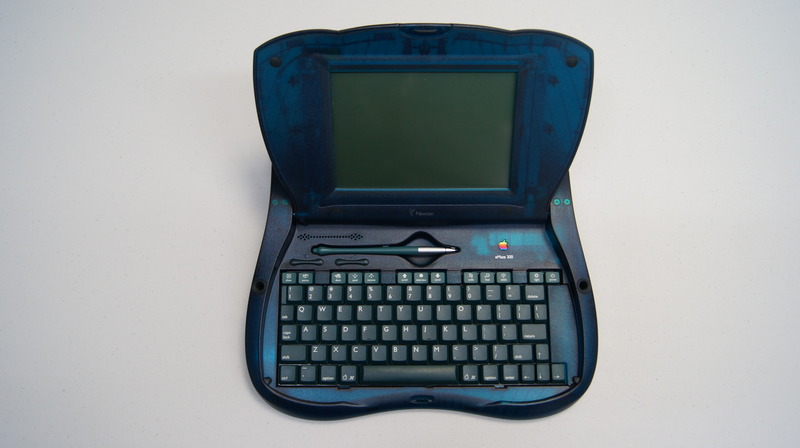 An ill-fated machine, the eMate was discontinued just 11 months after it was released. 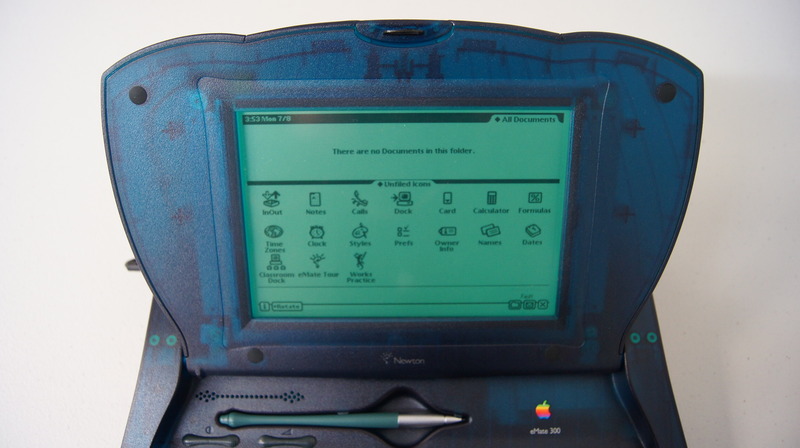 The Newton operating system was also canceled at this time after having been in use by Apple since 1987. 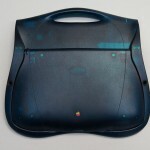 This all took place during Steve Jobs’ famous return as Apple CEO where he saved the company from imminent bankruptcy. 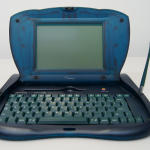 The eMate, though feature packed and elegantly designed, was too costly with too narrow a target market, as well as a little too ahead of its time to be financially viable for the company. 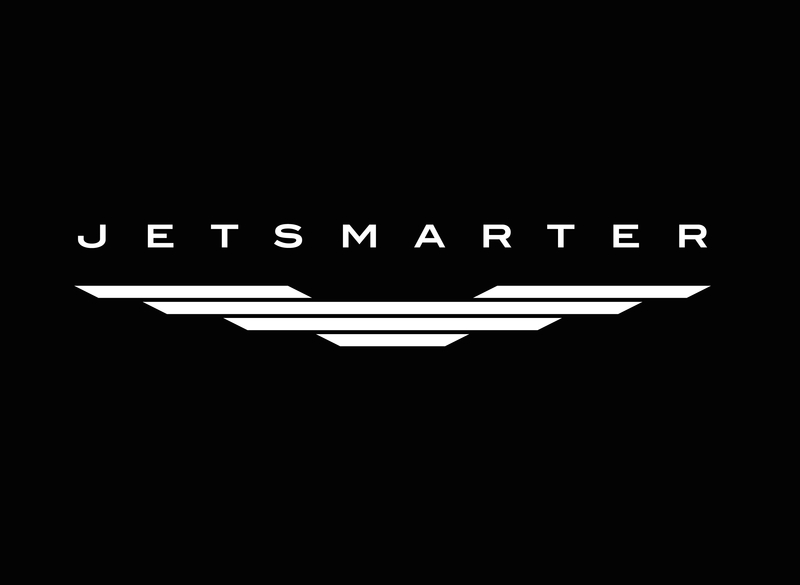 It did, however, pioneer a look that was adopted by later pieces of hardware from Apple that went on to solidify the company’s strong design presence in the consumer tech market even to this day.